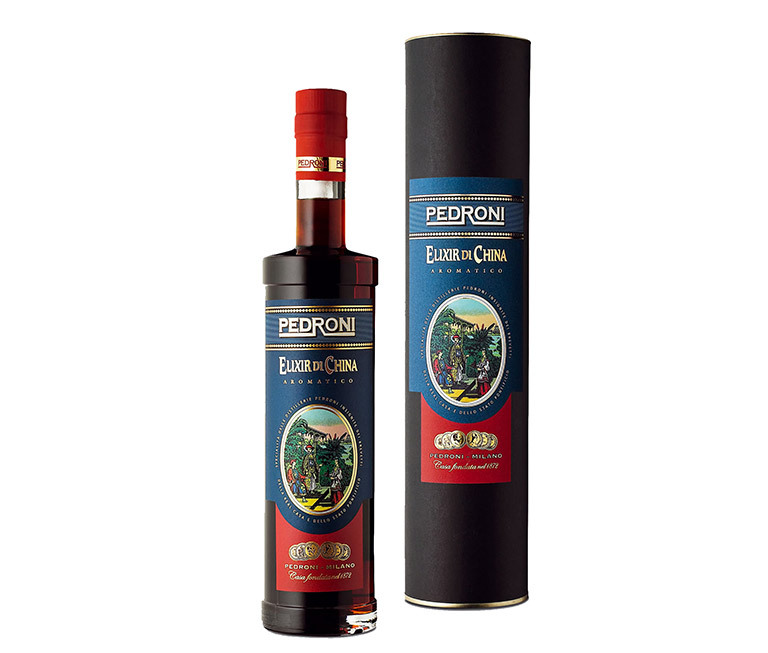 The China Pedroni Elixir is a historic digestive liqueur made with an infusion of bark of Cinchona Calisaya and other strictly natural aromas. 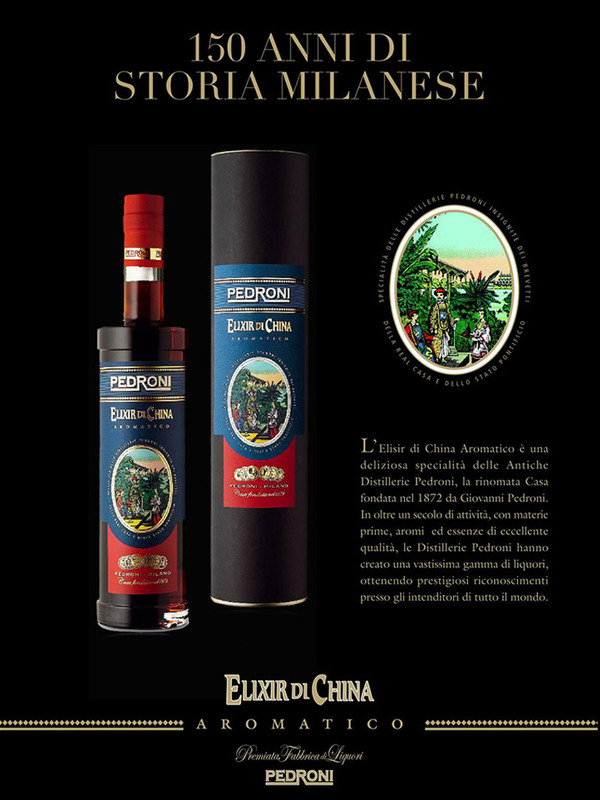 After years of silence, this product, reformulated by the descendants of the Pedroni family with great passion and according to the original recipe, is back on the market today to the satisfaction of a select but demanding public of connoisseurs. 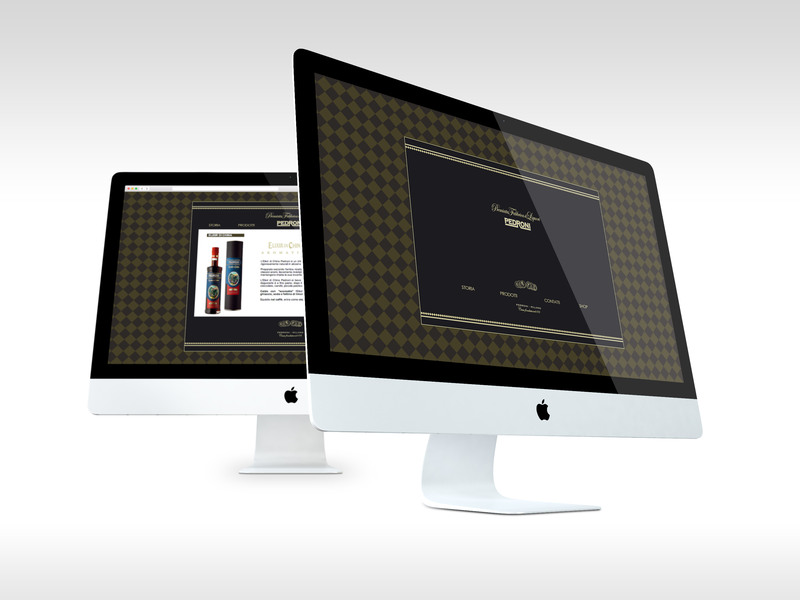 TC has accomplished a careful restyling, which renewed the original label of the 30's keeping intact all the complex historical evocations.